Dr. Laura Li and her colleagues at the Children’s Hospital Los Angeles (CHLA) are working to determine the underlying genetic causes of Optic Nerve Hypoplasia (ONH), which is still unclear. ONH is the absence or under-development of the optic nerve and is currently the leading ocular cause of vision impairments and blindness in young children. ONH can also be combined with brain and endocrine abnormalities which can affect motor skills, intelligence, speech and social interactions and cause hormone deficiencies. To further investigate the possible genetic factors of ONH, the team at CHLA is conducting whole exome trio analysis with 25 families. The team uses NexGen for alignment and variant calling and then imports their VCF files into Golden Helix’s VarSeq software. Using VarSeq, Li quickly filters and annotates her data to produce a short list of genes and variants of interest. From this short list, Li then manually interprets the data, looking for genetic explanations to ONH. Dr. Li received her PhD from Johns Hopkins School of Medicine where her thesis focused on Molecular Biology and Genetics. After completing her PhD, Li went to the California Institute of Technology (Caltech) in Pasadena, California where she completed a fellowship studying Bloom syndrome, an inherited disorder characterized by short stature, a skin rash that develops after exposure to the sun, and a greatly increased risk of cancer. At Caltech, Li investigated the cellular and molecular mechanisms leading to Bloom Syndrome. After leaving Caltech, Li joined Quest Diagnostics where she worked for a few years before being accepted into the American Board of Medical Genetics and Genomics training program at the University of California Los Angeles. She later completed a two-year fellowship with the renowned geneticist Dr. Wayne Grody. 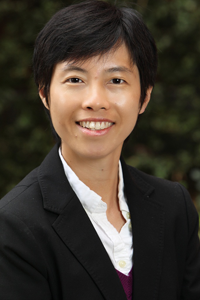 After her fellowship training, Li was board certified in 2013 when she began working at the Los Angeles Children’s Hospital as the Associate Director for the Clinical Genomics Laboratory.